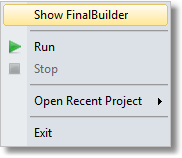 Show FinalBuilder [ <project> ] - This will restore FinalBuilder if it is minimised. The current open project name is shown in brackets. Run <project> - This will start the build. Open Recent Project - This allows you to open a project from the MRU (Most Recently Used) list of FinalBuilder projects. 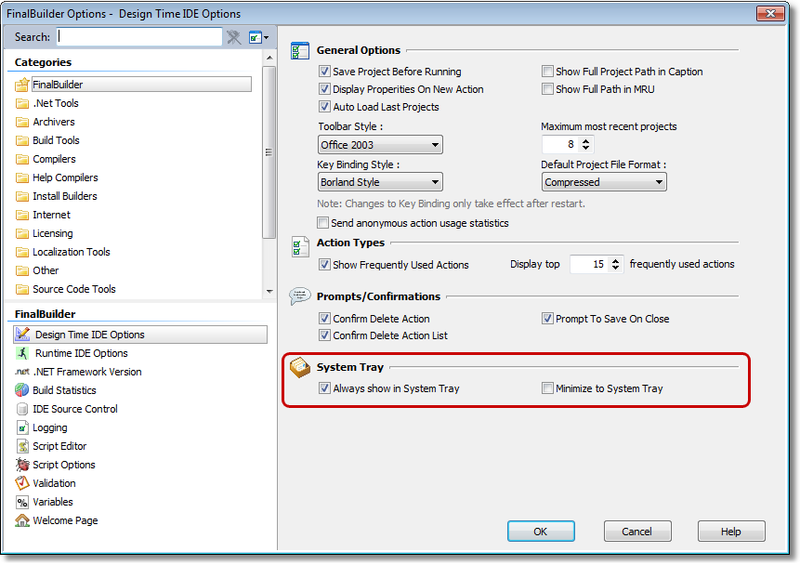 Minimize to System Tray - When minimised, FinalBuilder will not show on the task bar or the task manager, but will show on the system tray. To restore it, double click the tray icon.